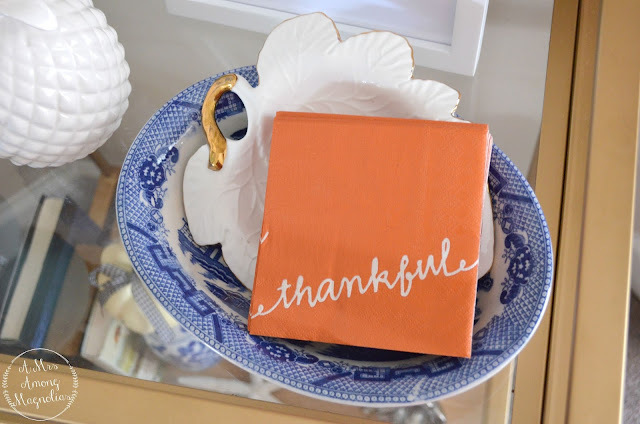 I feel like it has been so long since I have done a Friday Favorites! But I had amazing finds come up over the past week or so that I just had to share. 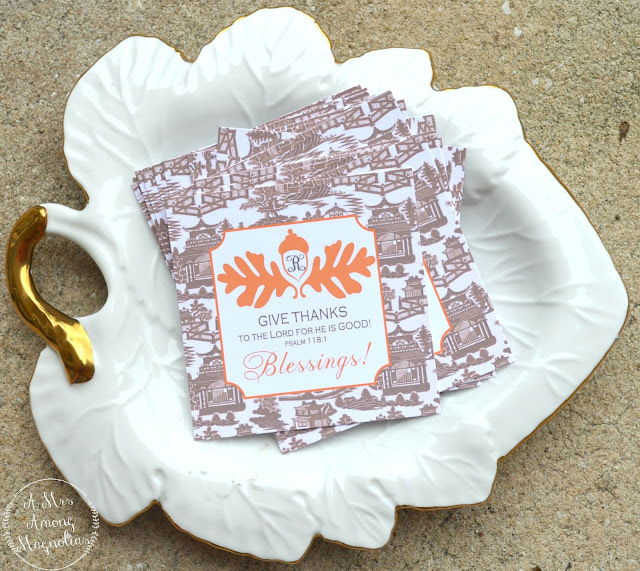 I love everything that Laurie over at LB Originals creates, and these chinoiserie fall acorn tags are no exceptions! I got them within a few short days of ordering them and they are perfect. I am looking forward to using these this fall. I have finally getting around to finishing up our guest room, and I needed to get some window treatments. I didn't want bulky curtains since the window isn't that large, but I am thrilled that I found this blue and white buffalo check valance. It is from Walmart of all places. The blue is sold out online, but I was able to find it in stores. After posting this picture on IG, I realized that I have never really shown y'all the guest bedroom. So, be on the look out for that post soon! Yes, yes I know! Christmas is a while out. 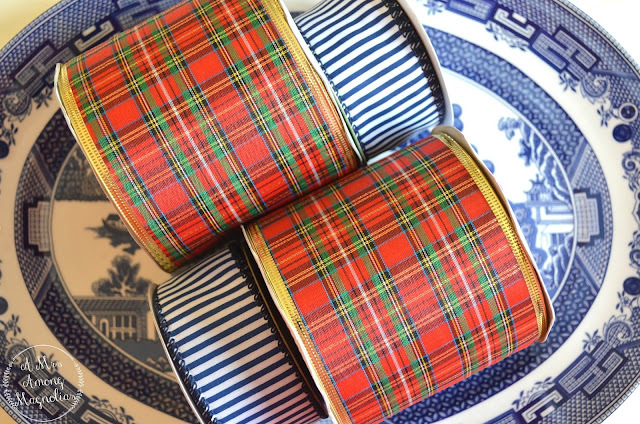 We still have to go through Halloween and Thanksgiving before the festivities begin, but I ran across some tartan ribbon that really has me in the Christmas mood now! I have also been pinning Christmas ideas a lot lately! 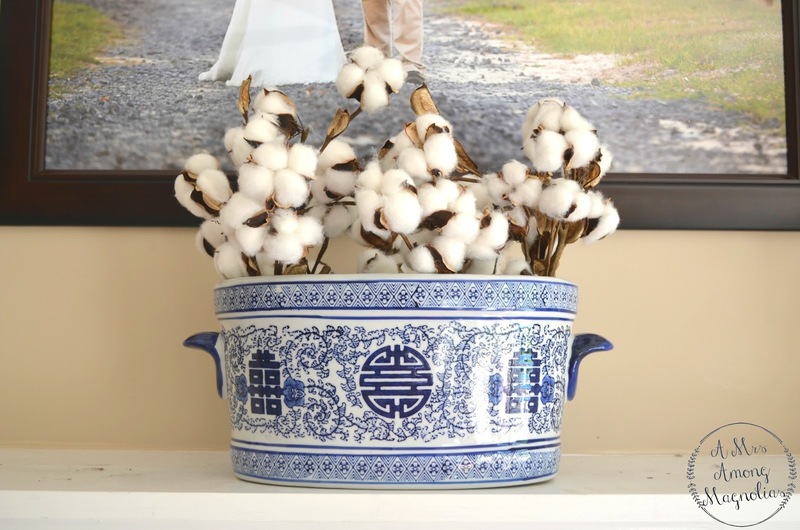 I hope y'all enjoyed this year's fall home tour at Our Magnolia Home! If you missed it head here to check it all out!